In honour of meeting some fast approaching deadlines (thank you patient design clients) and doing some *big* home projects, we’re going to let this blog go quite over the next few weeks. We’re stepping away from the computer and into our garden for some exciting and long anticipated developments (watch this space). We’ll also be enjoying each other and the fruits of our labour – literally….. Specifically, we’ll be dedicating some solid time to loitering at the raspberry patch each day *and* checking up on our ripening currents, nectarines, apricots, plums apples and cherries. Thanks for this year, it’s been a big one as they increasingly tend to be. This little blog started as an interesting side experiment and has ended up becoming a central element to what we do. Documenting our ventures has become an invaluable resource for us and the broader community. So thanks for your interest, questions, comments and contributions. We think you’re tops! Catch you in early 2017! Me and Scratch – looking like she’d rather not be in my arms! 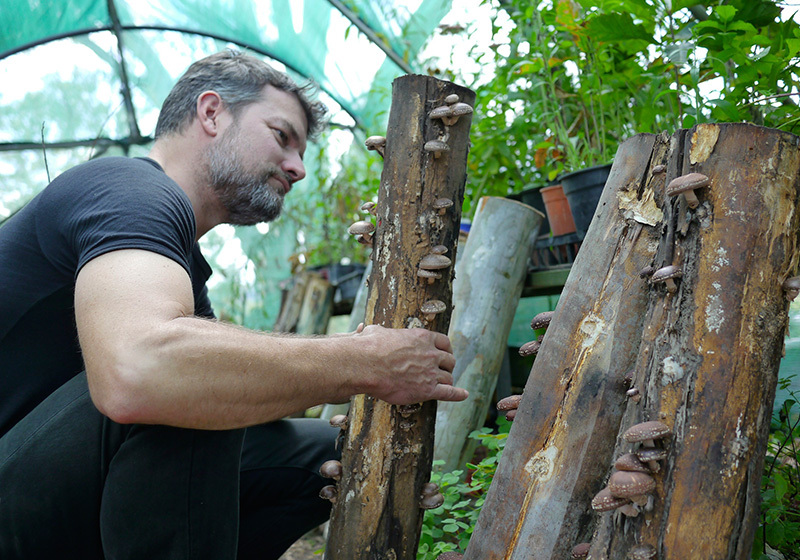 Nick Ritar: Director of permaculture power house – Milkwood, permaculture educator extraordinaire, lover of all things fungi, talker of many words (good ones) and guest teacher on our upcoming permaculture design course (PDC). I first met Nick in 2012 when he invited me up to guest teach on one of their PDCs in Sydney. I was a bit/a lot nervous to work with him say the least, – but his support, professionalism and now friendship has been brain stretching, comfort-zone expanding and fun. I feel fortunate to have this talkative chap in my life and owe him (and his partner Kirsten) much for where I am now. 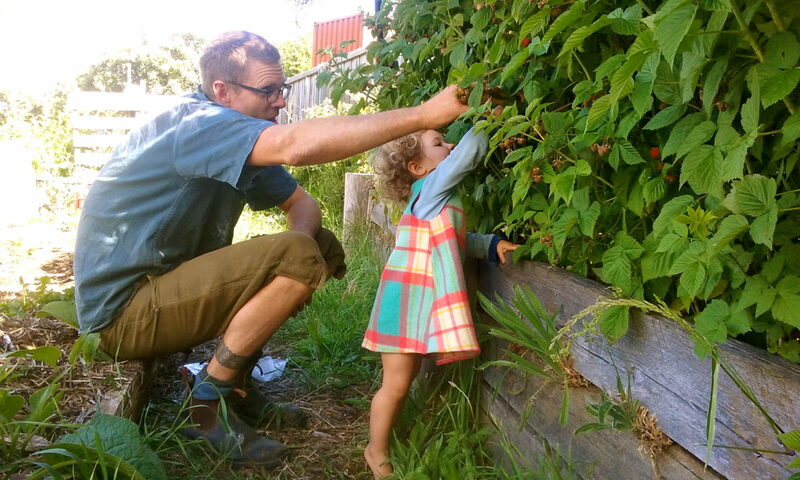 Have a read about Nick, his perspective on life, permaculture and the future. What do you think permaculture’s role is in creating a vibrant, sustainable and resilient world for our children’s children? I see permaculture as a blueprint for how we’re going to live on this planet in future years, and by living I mean live a joyous & abundant life where we can thrive, not just survive. There is a lot of very scary things that are happening in our global society and hearing about them can be incredibly disempowering. Permaculture empowers us to take action in our lives and in our communities and that will become more and more important in future years. Where has permaculture taken you in life? Permaculture has allowed me to recognise what I really value in life. When I first started being a permaculturalist I was still living a relatively conventional life. The longer I’ve spent being a permie, I’ve realised I can be fulfilled with a lot less, especially from an economic perspective. The economic system can be a powerful tool to allow us to engage with society so I am still engaged with it. But in my personal life I try to live without it. My life now is very low income, even lower expenditure and full of amazing beautiful experiences. Strong community and amazing relationships with people have allowed this to happen. 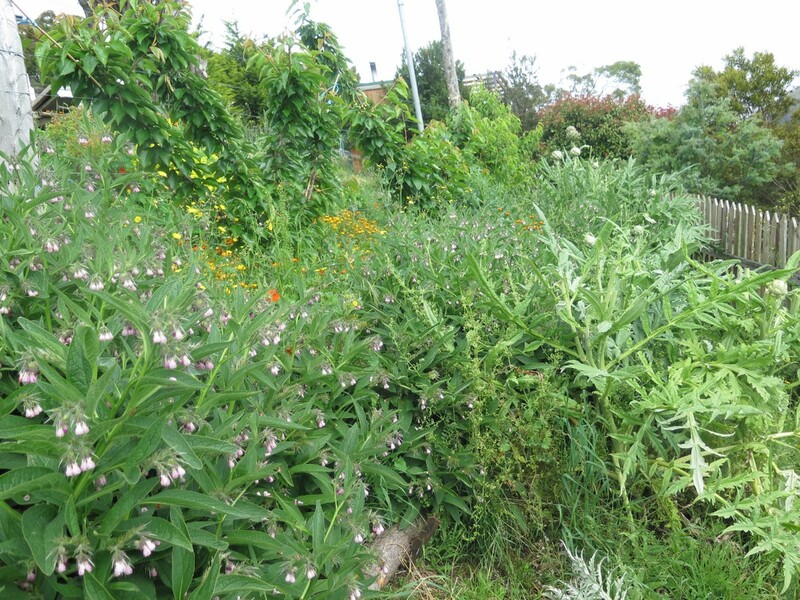 Melliodora – Hepburn Springs, Victoria – home of Sue Dennet and David Holmgren, co-founder of permaculture. This property is an 8700m² diverse, perennial polyculture with amazing annual gardens, goats, chickens, geese, fungi and a few lovingly built homes. We get to live in one of them – a mudbrick building built by family and community for family and community. We’re so fortunate to be able to be living on this incredible permaculture demonstration property. That opportunity came about via the strong community connections we’ve made over the years through permaculture. In a very true sense permaculture has given us this opportunity. When you engage with a passion for things that you really believe in other people end up really supporting you in that. The support that we’ve been given to live here comes out of the ethics of permaculture. Probably the single most important thing to us is that we have a community of people who we love and support and in turn, they love and support us. We don’t own our own property and haven’t got tenure over it. It’s through interpersonal relationships and the improvement of these that maintains this opportunity. It’s unique and rare, but perhaps that’s not unattainable. The amount of small farms with ageing owners who need and want help and company is abundant in our country. Perhaps shifting our cultural mindset is the more challenging barrier to making this a common option for people, young people in particular who are looking to access land, but can’t afford to join an inflated real-estate market. 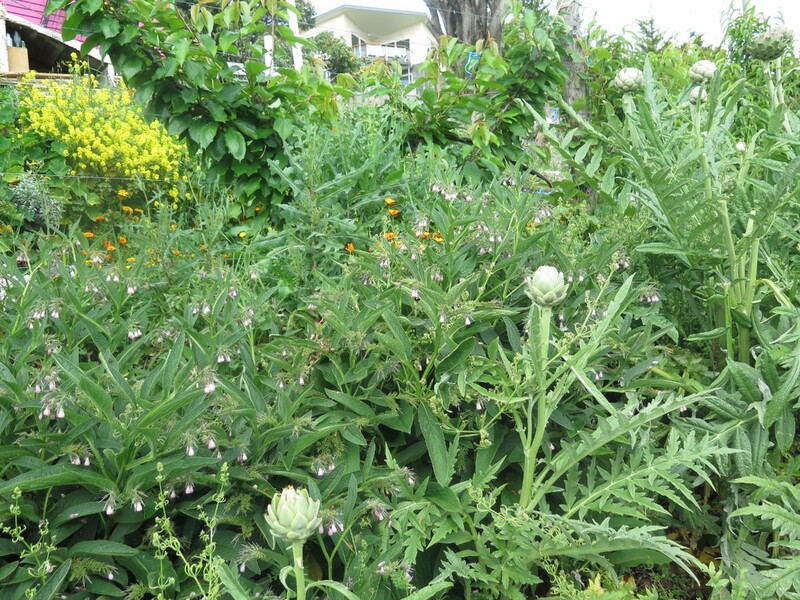 By living at Melliodora you’re living in one of the most established permaculture properties in the world. 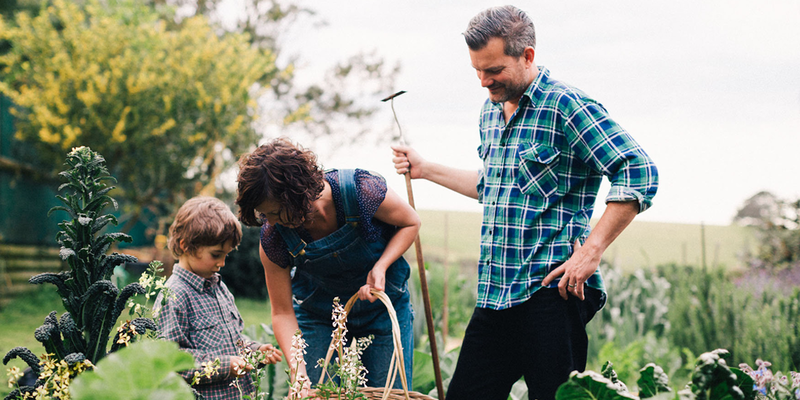 Besides a kick-arse garden, what other permaculture elements are you and your family loving? We’re building stronger connections with this property all the time, but even more interesting/exciting is the connections we’re building within our bioregion. Included in this is the local Spring Creek community forest, this is a place where we spend time to grow and harvest fungi and the goats graze there regularly. It helps us close the cycle of this property where we give and take in a healthy way. It’s the dream set up where functional connections are self-forming (beyond the property fence line), resources are abundant and things are self-connecting. That’s what’s different to a mature permaculture system; you become a player rather than a director. 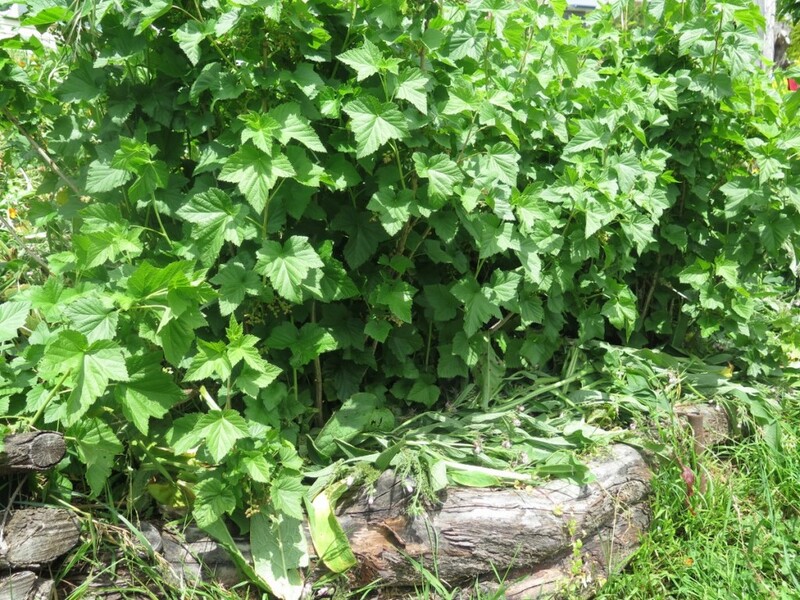 Establishment of a permaculture systems is so different to maintaining one where your rhythm is heavily directive, in a mature system your rhythm becomes more responsive to the seasons and available resources. 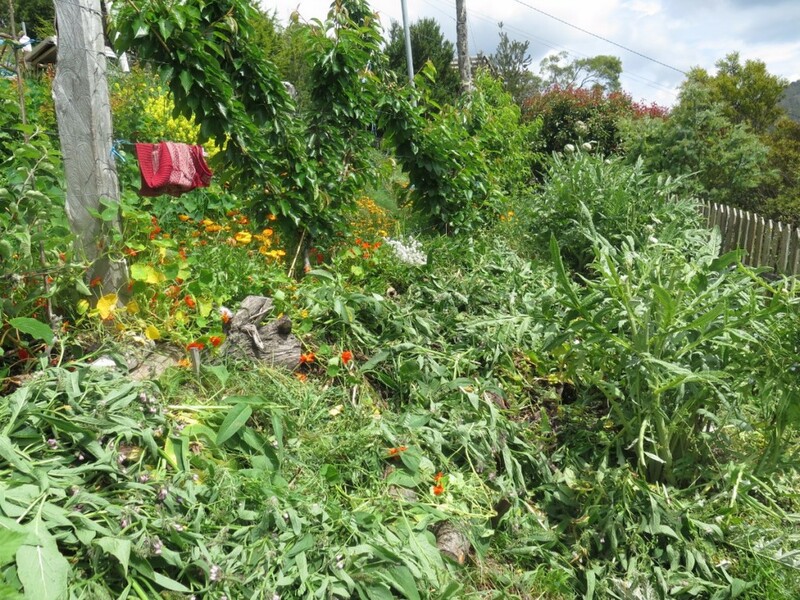 What’s one of the most exciting and meaningful permaculture projects you’ve worked on? Milkwood – our business. This includes the Milkwood farm we had in Mudgee, NSW (now sold) but also Milkwood as the unaffiliated educational organisation. That’s been the biggest project for me, designing this and making sure it’s true to the permaculture ethics, that it provides meaningful livelihoods and promotes permaculture principles. Within this, a big project for us has been the 107 Projects roof top garden we designed and built in Redfern, Sydney. This is where we teach a lot of our classes and is one of our longer term projects we’re proud of – earlier this year it won gold awards from the Australian Institute of Landscape Designers and Managers in two categories. What we haven’t done and would like to do more of is community design projects. We’ve mostly worked with corporate and individual design clients. This has limits to how close you can get to the project as it’s more of a financial relationship rather than a community project where you invest in a long-term relationship. We’re really looking forward to participating in the development of our son’s new school – a place where we hope to be invested in for the next 5 years. Working on Melliodora is also incredibly fulfilling. We’re getting to design and implement crazy mushroom gardens, annual food production and parts of the tree and animal systems not to mention also getting to work on the amazing natural buildings and help Sue and Dave out with parts of their enterprise. By working on the place you live, you get to have a level of ownership over things and get to see the results. But of course, the ultimate project for any permaculture designer is their own life and their families. You can start with yourself, then move out to your family, then your community and lastly the broader world – this is where you can design and implement permaculture on every possible level. Who should do a permacultue design course and why? Anyone who wants to live a fulfilling life – a life that brings them good food, community, safe/happy houses and happy families – and anyone who wants to help others achieve this too, whether that’s directly through their work roles, in their community or within their family. 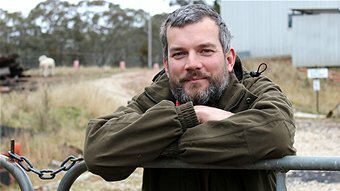 Join us and special guest Nick Ritar this Jan21 – Feb 3 in Tasmania for our permaculture design course. 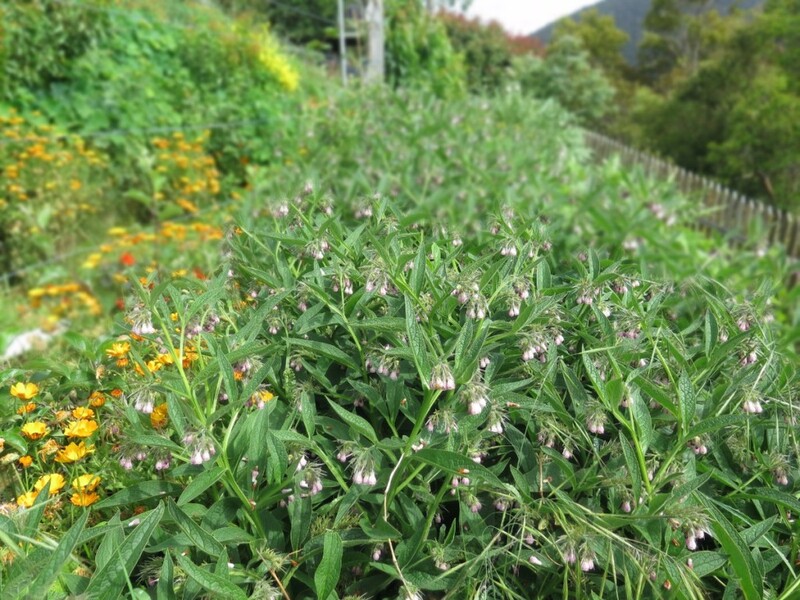 I’ve written a fair bit about comfrey and its many uses, including how to propagate it and making comfrey fritters. 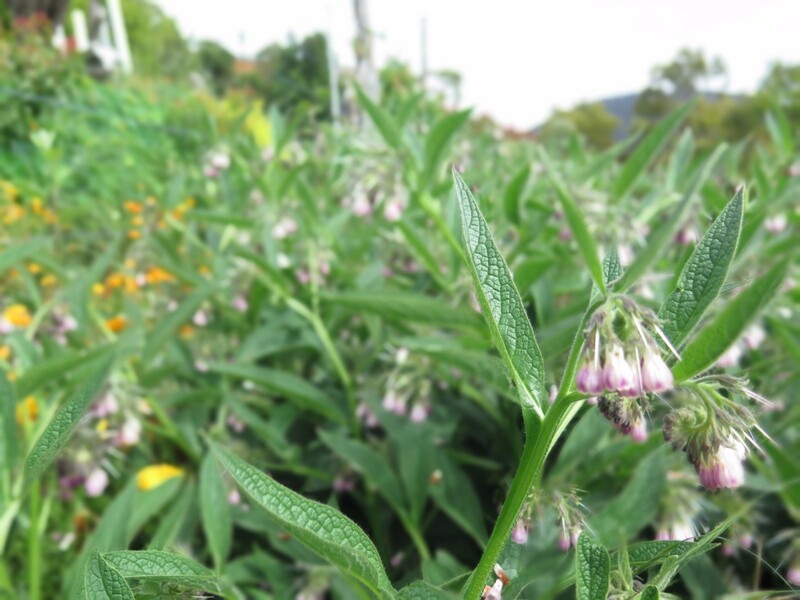 At one point, I wrote an extensive blog called “everything I know about comfrey so far” just to get it all out there and clear up a few myths. 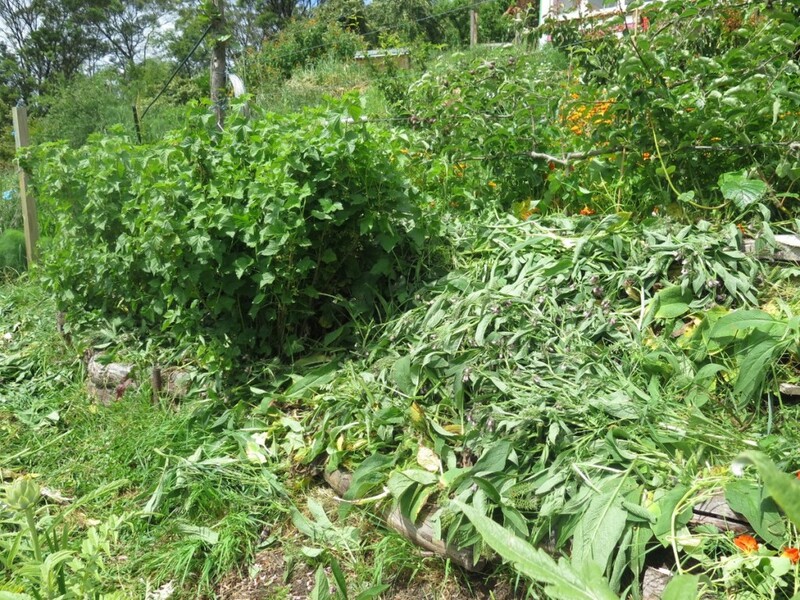 As an extension of that blog here’s a more detailed look at using comfrey leaves as mulch, aka “chopping and dropping”. 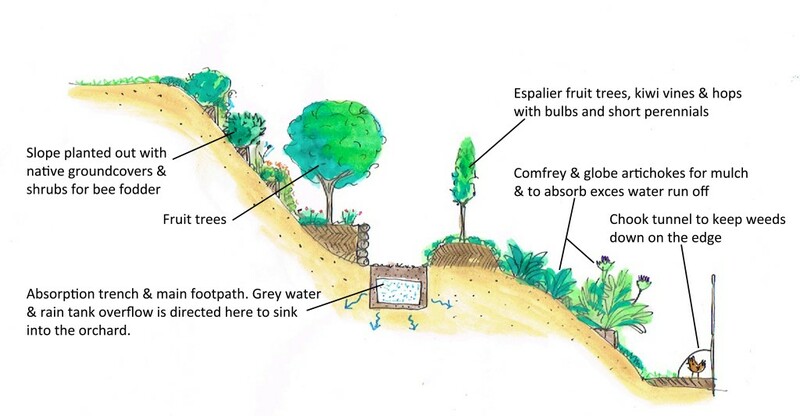 We’ve got a big bank of comfrey downhill of our young espalier orchard which is on a small terrace carved out of a steep slope – you can see the design below and some of its development story here. The design matches reality around 99%, it’s now all there and thriving – we just decided to not run our chooks there for the time being. This particular type of comfrey grows *big*, well over one metre – providing a whole lots of biomass that can be cycled back in our garden. At least twice a season I’ll go through and chop the leaves off at the base and drop it straight back on the ground or move it to an area that needs mulch. This time round, I mulched the bank it grows on and the neighbouring currants and globe artichokes. Coming into summer, this is such a valuable resource – it means we don’t have to buy in mulch at all, our soil is protected and nourished for free. Comfrey has a reputation amongst keen gardeners as a “dynamic accumulator”. While there isn’t solid scientific data on this, you just can’t ignore the countless gardeners who swear that by adding comfrey to your garden, you end up with healthier soils and crops -we’ve observed this ourselves. You can read up on this here and here. And after a solid hour of chopping and dropping – our bank now looks like this…. While it looks like I’ve completely devastated the plant – rest assured I haven’t, new growth will start to pop back up within 1 – 2 weeks and the whole process will repeat again. You can’t kill this plant – or at least it would be really, really hard to. Our bank of comfrey is approximately 20m long with somewhere between 40-60 plants and counting. We subdivide and plant more each season to crowd out the grass, stabilise the bank and grow mulch for our orchard. If you can, grow your own multi-functional living mulches – you and your garden will never regret it! 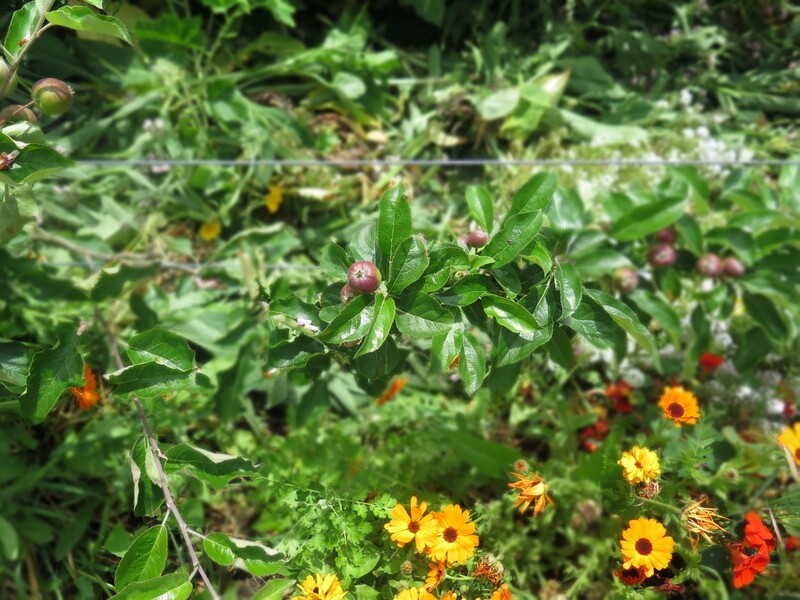 One of our espaliered apple trees with a comfrey mulch on one side and calendula on the other – lucky apple tree.